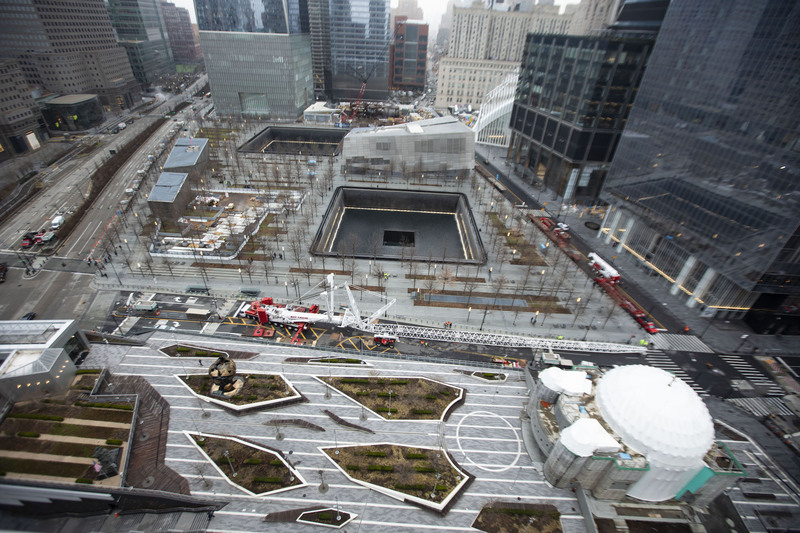 After the rescue and recovery effort after the attacks ended, an estimated 400,000 people were exposed to life-threatening toxins, and since then, nearly 70,000 first responders and more than 14,000 survivors enrolled in the World Trade Center Health Program. 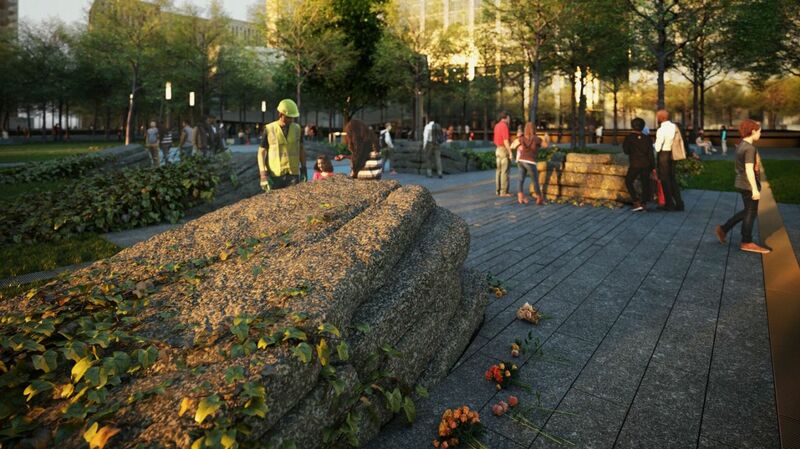 The memorial was designed by Michael Arad and Peter Walker, the duo behind the original memorial’s design. 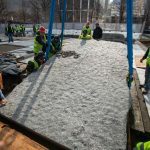 The physical location of the Memorial Glade marks the same place of the main ramp that provided access to bedrock during the recovery period. 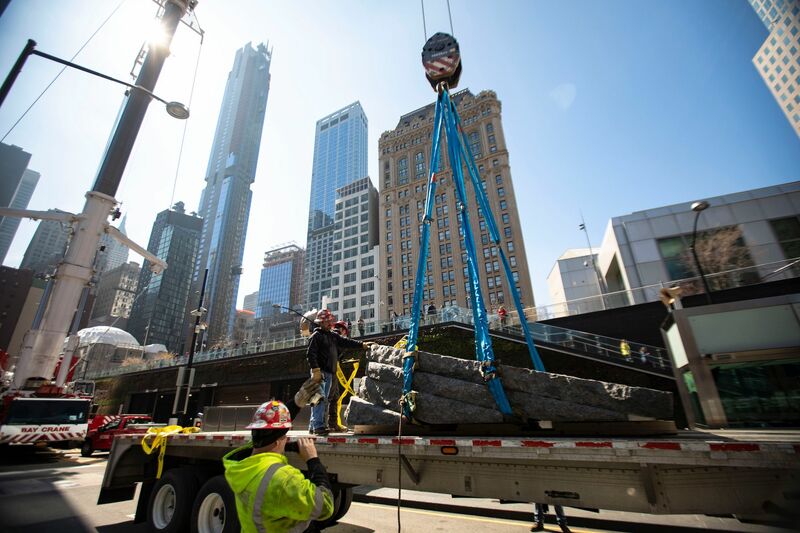 In a design statement, Arad described the stone elements as implying a “firmness, stability, and faithfulness through adversity, pointing skyward, referencing how the recovery cleared the way for rebuilding and renewal.” Construction of the memorial began in the fall of 2018. 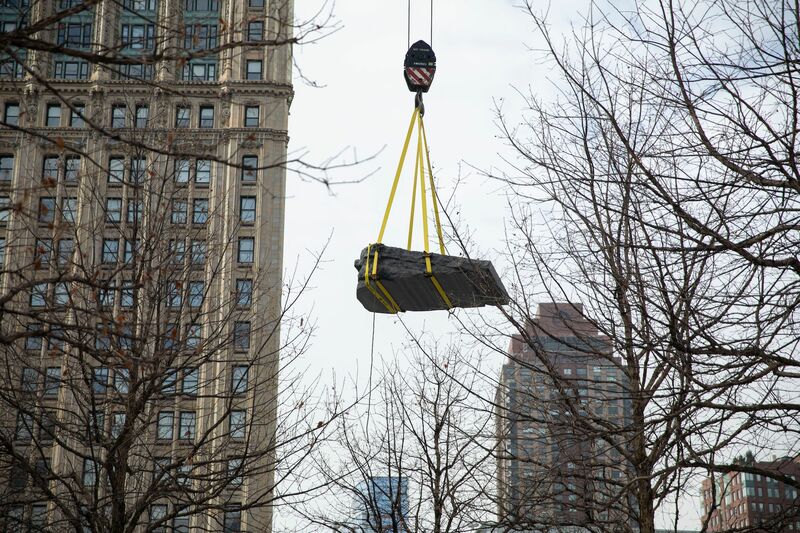 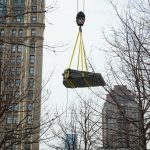 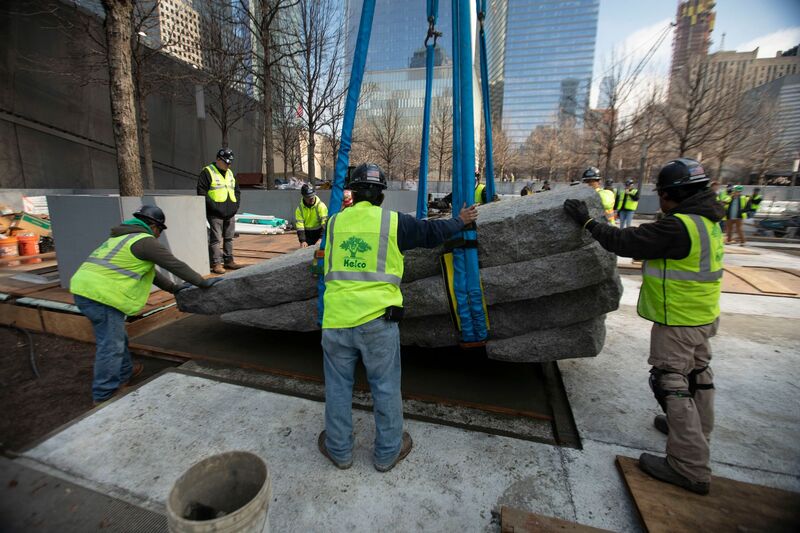 Each monolith, which traveled via flatbed from New England, weighs between 13 and 17.8 tons. 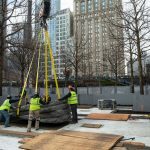 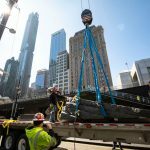 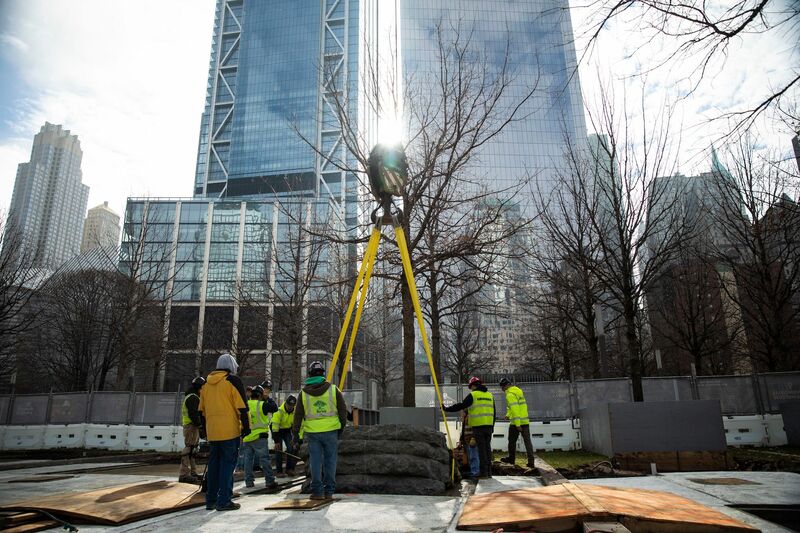 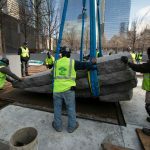 To set them in place, a 600-ton crane and an assist crane lifted each over the 30-foot-tall trees on the Memorial plaza site. 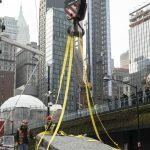 To support the weight of the monoliths, construction crews added a high-density Styrofoam, concrete, and steel rebar to the site. 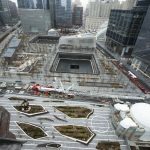 The added reinforcement is necessary as the Glade sits above the below-ground 9/11 Memorial Museum. 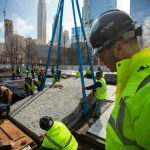 Before the memorial officially opens on May 30, the next phase of construction includes placing cobblestones on the pathway, finishing up landscaping touches, and incorporating an inscription on a plaque. 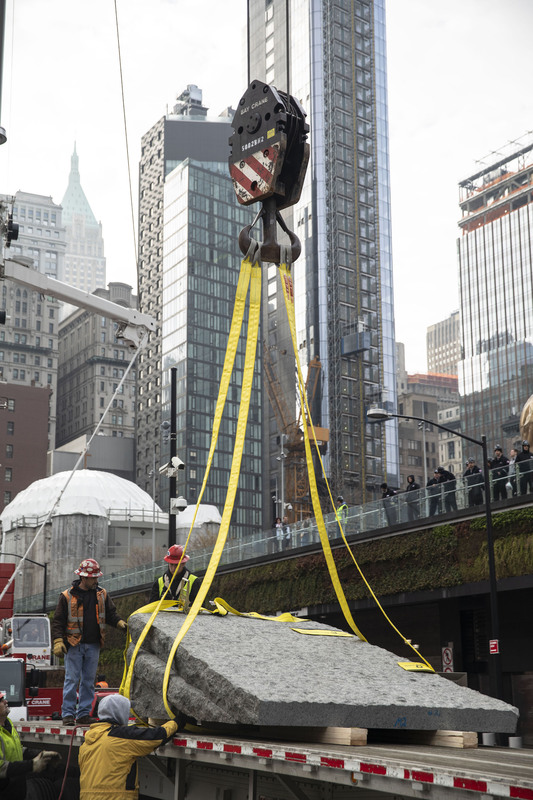 According to the museum, the memorial’s total construction cost is $5 million.